Those of you who subscribe to Inside History and who, like me, are part of the 523% of Australians who are of Irish descent have no doubt been enjoying their most recent issue, focusing on Irish genealogy. 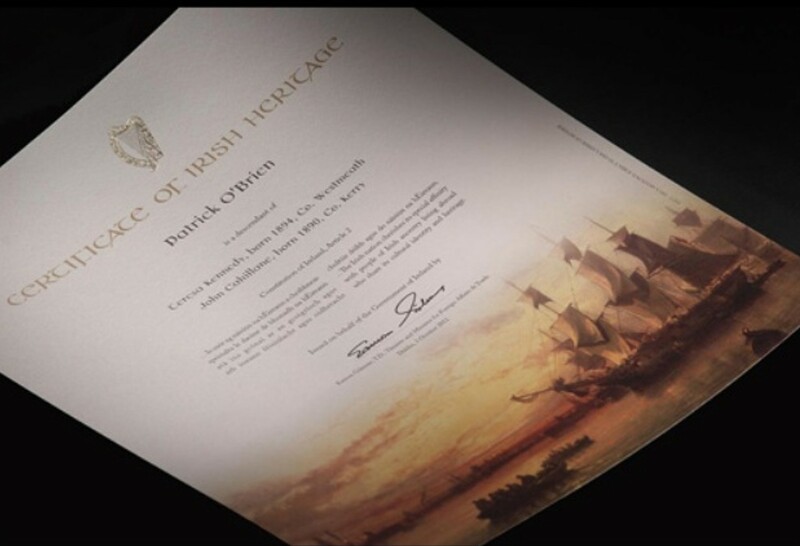 One of the things which caught my eye, although I have seen ads for it previously, is that they were promoting the Certificate of Irish Heritage. Yes, for $52AUD plus $5 shipping* you too can get a piece of paper which declares you to be of Irish descent, containing whatever guff you typed into it about who your ancestors were and where they were from, signed by someone official-sounding. The only thing I find really tempting is the possibility of getting something claiming I'm a descendant of Dan Milligan from Puckoon. Now that would be worth the $52. *$154 plus shipping for a framed version.